Podcast – Series 3 Episode 12 – Grand Final Edition | Who's Playing Who? 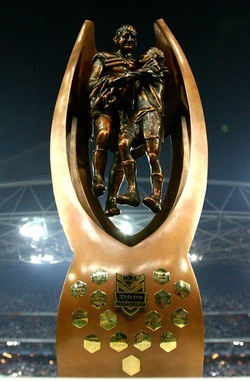 This week we present our grand final show for 2011! The Phantom joins us for the entire show, while David Shipton makes his podcast debut. That’s right – a five person panel! There’s a big preview of the NRL and AFL grand finals, as well as the upcoming round of EPL action. The RWC is closely examined, with everyone revealing who they think will win the tournament. In addition to this, Tomo’s Think Tank returns for a second consecutive week, covering some pretty diverse topics. He also reveals how he won $1000 in Dunedin. This is the last podcast until the summer – not one you want to miss!